Is Home Mortgage Interest Deduction A Good Idea? This is one of the most frequently asked questions at our live events. Below is my answer. If you have a mortgage and are paying interest, it is ABSOLUTELY very important to take the mortgage interest deduction. BUT there are a few key facts to consider as well. One thing I have heard commonly stated is “I am not going to pay off my mortgage early because I do not want to lose the mortgage interest deduction.” I believe this saying was initiated by banks because it is much more costly to keep the mortgage than to pay the taxes owed without the interest deduction. See the example illustrated below. Let’s say you paid $5,000 in interest on your mortgage last year. By taking the deduction, you effectively reduce your taxable income by $5,000. You receive back the tax rate on that home mortgage interest deduction. If your tax rate is 30%, you will receive a refund of $1,500 because of the home mortgage interest deduction (30% of $5,000). Of course, the bank keeps the $5,000 you paid in interest. 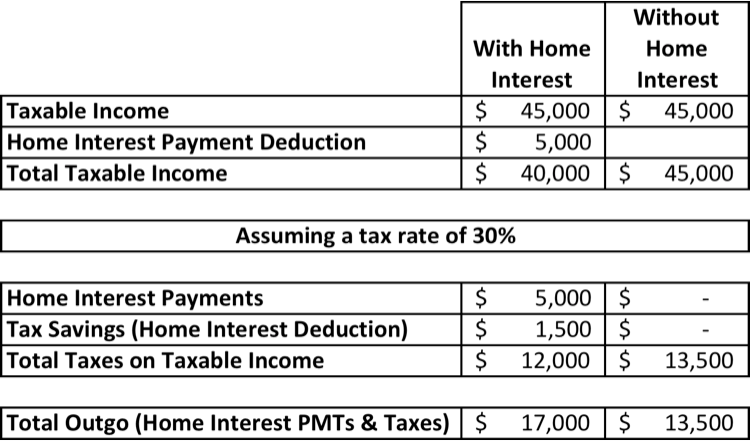 Uncle Sam receives 30% of your taxable income which is now $40,000 because you were able to reduce your taxable income by the $5,000 interest you paid. The total net OUTGO from your bank accounts to Uncle Sam and the bank is $17,000! Well, you are living life pretty good in your debt-free condition! You have paid off your house, so now you no longer pay interest to the bank (yay!). This means you will be taxed on your full income of $45,000. If your tax rate is 30%, the total net OUTGO paid to Uncle Sam is $13,500! NET RESULT: By eliminating your mortgage, you have $3,500 LESS OUTGO from your bank account to someone else. In school, if you did not pay attention in class and did not study the subject matter, you would receive an undesirable letter grade. 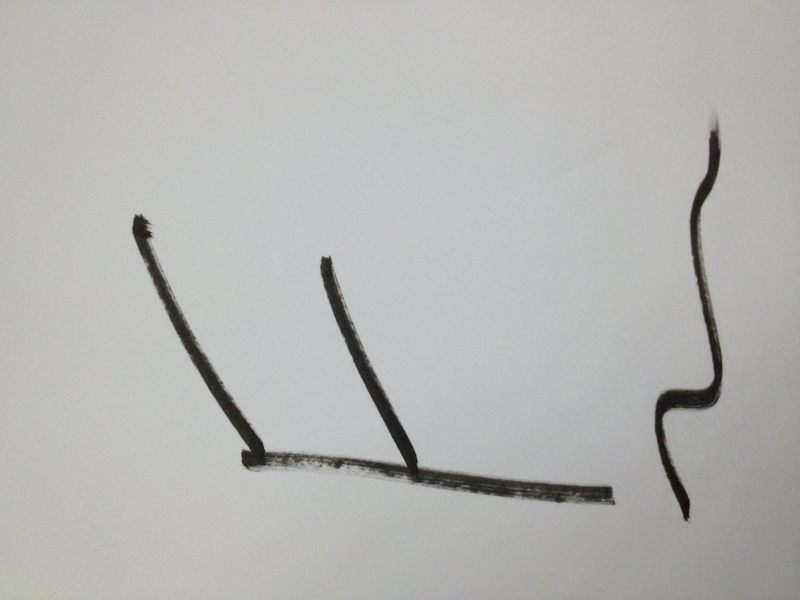 It would be the dreaded one-legged “A” – also known as a big ole “F”. I don’t know what would have happened in your family, but if would have ever brought home a “F” on my report card, I am pretty sure that I would have become the first person who achieved near-earth orbit via an explosion from my parents. This is an example of near-instantaneous feedback. If I choose not to study, it would take no more than a few months later to receive the dreaded “F” and ultimate accountability with my parents. It is NO DIFFERENT with your finances! You might think that you are getting away without studying the subject. You might have convinced yourself that you do not really need to take time to plan your finances. You could even believe that you are doing well enough without learning more about finances. I will tell you that you are dead wrong. If you do not learn about the subject of your personal finances, you WILL have accountability. I do not know if any of these have hit home with you, but I made a decision long ago that I would NOT allow money to dictate what I do and do not do. I will take the money that I have and tell every single George Washington where to go. I will ensure that quite a number of George’s are given away and that large quantities are saved BEFORE I start spending them on anything else. My PRIORITY is to get an “A” on my finances. The only way I will accomplish this is to continue learning and applying what I learn to my finances. Looking for financial accountability? The I Was Broke. Now I’m Not. Group Study is the perfect tool to learn about winning with money in a setting where accountability is created. Click HERE to get your group started or learn more.